Steve Knight of Whitesales explains the challenges of smoke control in multi-occupancy buildings. With 53 per cent of fire-related fatalities resulting from individuals being overcome by smoke or toxic fumes, smoke heat exhaust vent systems (SHEVs) make a critical difference by keeping escape routes smoke-free. In multi-occupancy buildings in particular, they enable firefighters to tackle blazes more safely and effectively and can, therefore, make a significant contribution to reducing structural damage. British Standard guidance varies according to building height and the distance from the furthest apartment entrance door to its nearest escape route. However, life-saving devices and systems should ideally exceed standards and achieve strictly defined performance criteria. Thorough analysis of the proposed fire strategy and design of common escape routes is therefore essential. Performance criteria and SHEV system design will depend on the layout of corridors and communal areas. As such, a mechanical smoke extraction system will give greater flexibility in terms of floor space utilisation. Indeed, in addition to providing greater efficiency than a natural ventilation system, it can effectively be designed around space constraints. The need for a secondary power supply may increase initial outlay, but this must be set against greater efficiency, design flexibility and the ability to operate in the event of a mains power failure. In addition, it will provide a mechanism for the fire service to stop, override, and ultimately re-set it into a different mode of operation. There are crucial factors to take into account when designing a smoke control system. In contrast to a natural ventilation system, a mechanical smoke extraction system utilises an extract shaft so that when smoke is detected, the fire damper to the shaft on the fire floor opens while all others remain closed. The vent at the head of the staircase then opens so that a fan at the top of the shaft can extract smoke and prevent its migration into adjacent compartments. A recent innovation is the modular smoke ventilation system. This gives the architect or M&E consultant the guarantee of flow rate and pressure performance, while offering greater ease and speed of installation. 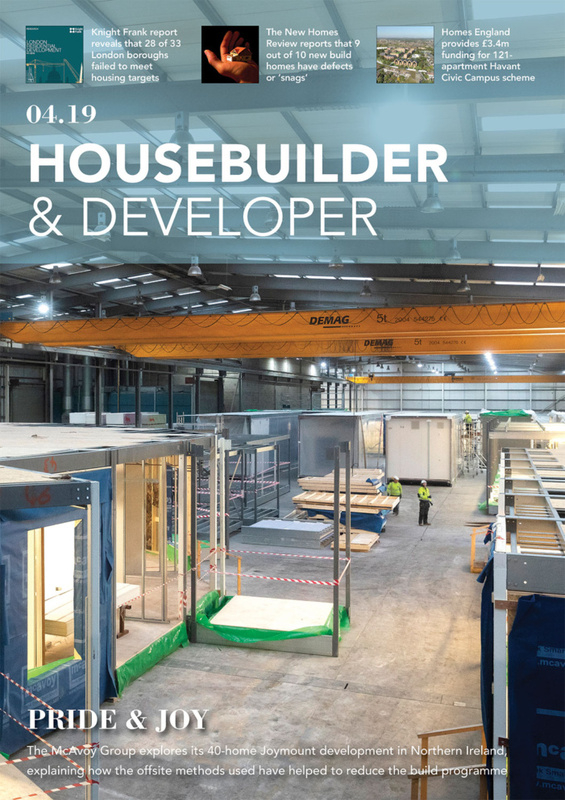 With new build windows often being limited, a choice of sizes can be supplied pre-commissioned in a prefabricated, prewired pod, ready for a single lift to the rooftop. In terms of day to day living, overheating has become a common feature of multi-occupancy buildings. Centralised heat generation systems significantly increase temperature build-up in communal areas, a factor which, ironically, has been made worse by improved energy efficiency and air tightness standards. The secondary use of a mechanical smoke ventilation system is, therefore, becoming more common, as it provides an effective means of reducing temperatures deep within a building. It does this by using the smoke shaft as a cooling chamber so that, when combined with low-level inlet air, it provides negative pressure to draw air up through the building. 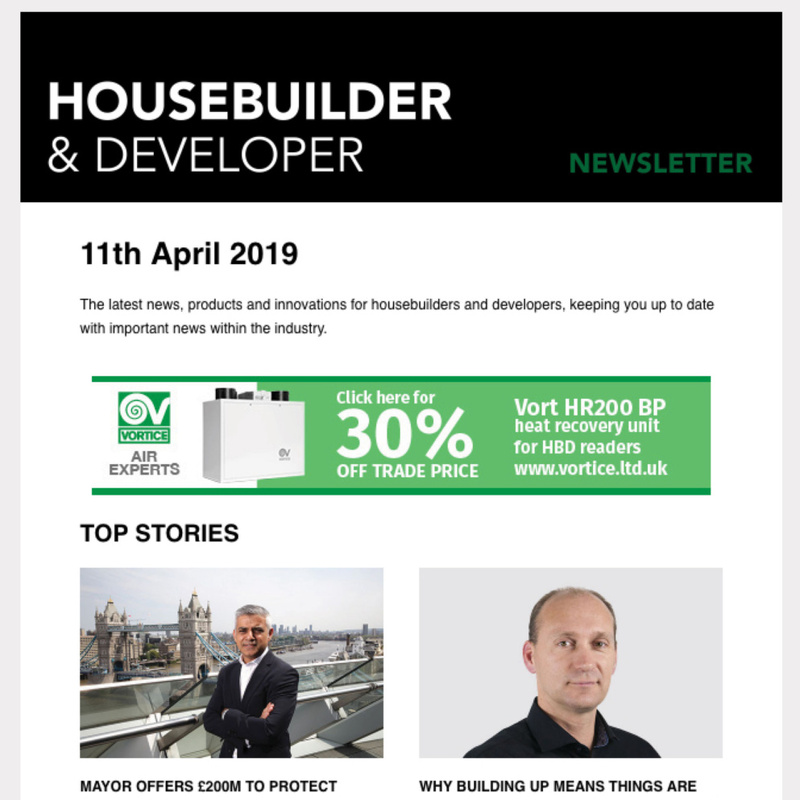 For the Grafton Quarter in Croydon, a £25m project to regenerate a former industrial site into a mixed-use scheme, 97 residential units were built in which a fire engineer recommended a mechanical ventilation system for each of the eight-storey blocks. The system was required to provide adjustable flow rates to run in ‘escape’ and ‘firefighting’ modes. A control system was linked to the central fire alarm, and fireman priority switches were installed within the stairway on each level. During the planning phase it was also identified that the central boiler systems were constructed to run through the mechanical risers, so it was also necessary to facilitate temperature control for these areas. As a result, a fully integrated system, utilising CFD analysis, was designed within the requirements of Approved Document B and BS9991. 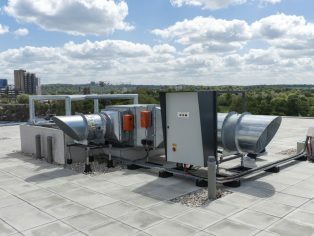 A mechanical ventilation unit featuring integrated smoke vent louvres was installed in each building, incorporating controls over floor vents, plus electrical invertors to adjust extract flow rates. These adjust the fan speed and allow the system to be run at varying levels of output in the event of fire. 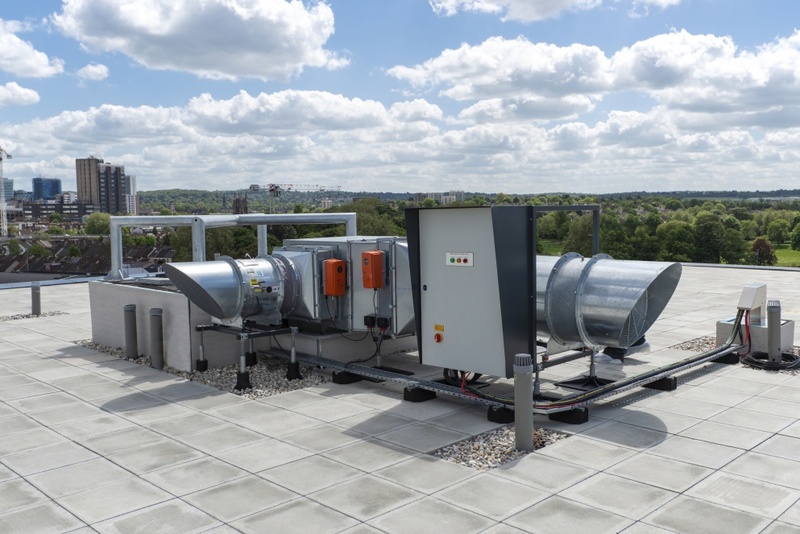 Additional comfort fans were installed, designed to run continuously at lower speed for energy efficiency, with additional dampers providing comfort ventilation for six of the eight floors in each building. The adaptive controls enable the comfort functionality to be shut down in the event of fire. There are long-term benefits in terms of both smoke control and management of the living environment to be derived from use of a SHEV system. In terms of overall efficiency, commissioning and cost, there are also advantages in the manufacturer being involved in specification and installation. Such a complete smoke extraction package ensures that, for example, uninterrupted power supplies enable a mechanical system to be installed without the requirement for two dedicated three-phase power supplies. It also removes the risks associated with split sourcing of products and inadequate contracting standards, while ensuring that complementary accessories facilitate a system’s efficiency and commissioning.